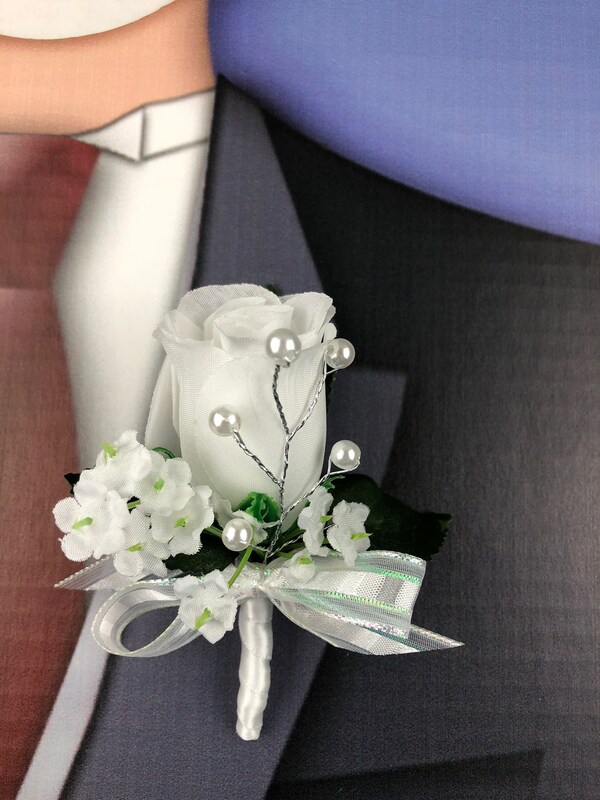 Created with pretty silk White Rose buds, White Pearls and White Baby's Breath, I have several custom options available. 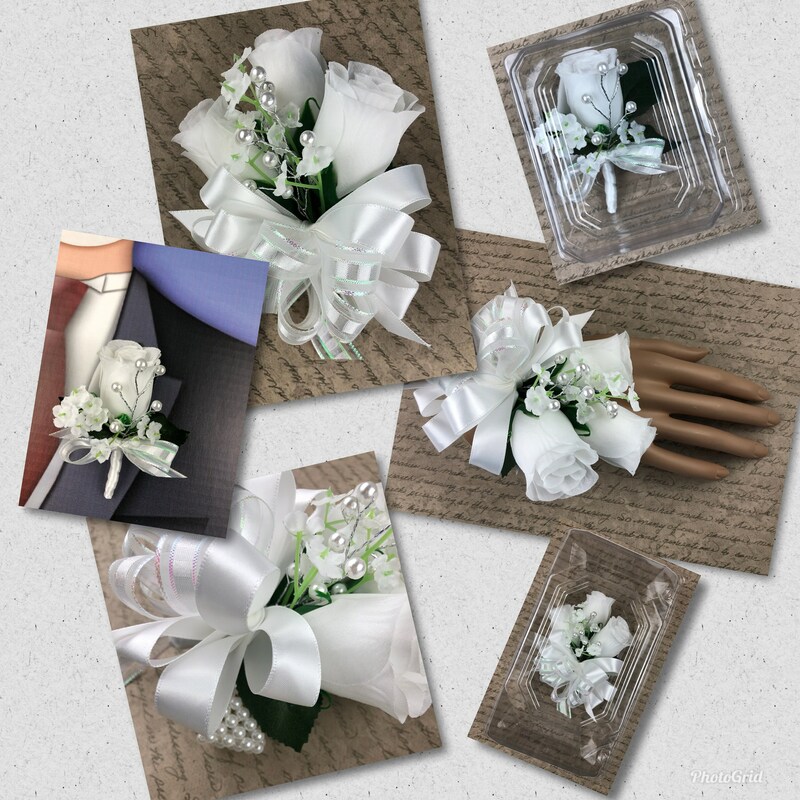 Please select from Pin On, or Wrist Corsages, presented either in a clear sleeve or presented in a Plastic Hinged Corsage Gift Box, 4"H X 9"W X 5"D. Corsage gift Boxes are perfect for Prom Corsages. 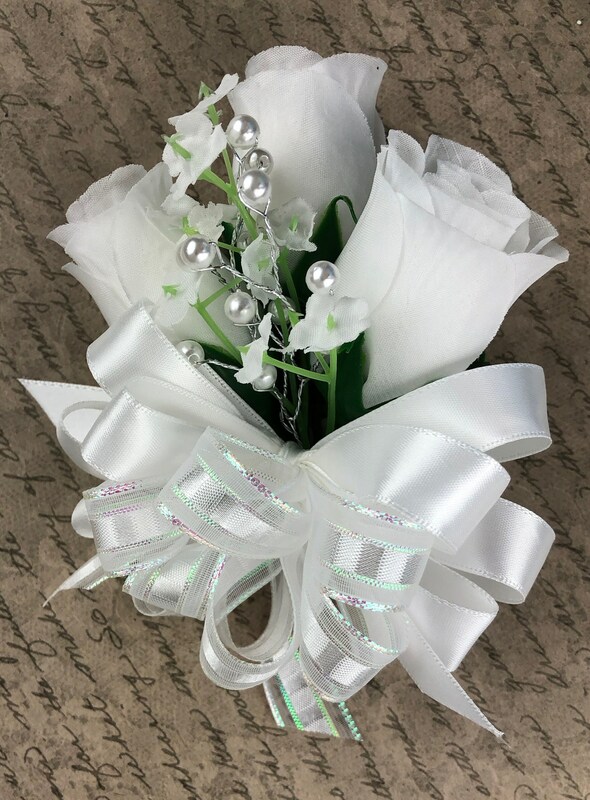 1 White Mother's Pin On Corsage, 6" in length, created with 3 White Silk Rose Buds, White Pearls, White baby's Breath, Rose Leaf & finished with White Satin & Sheer Corsage Ribbon. 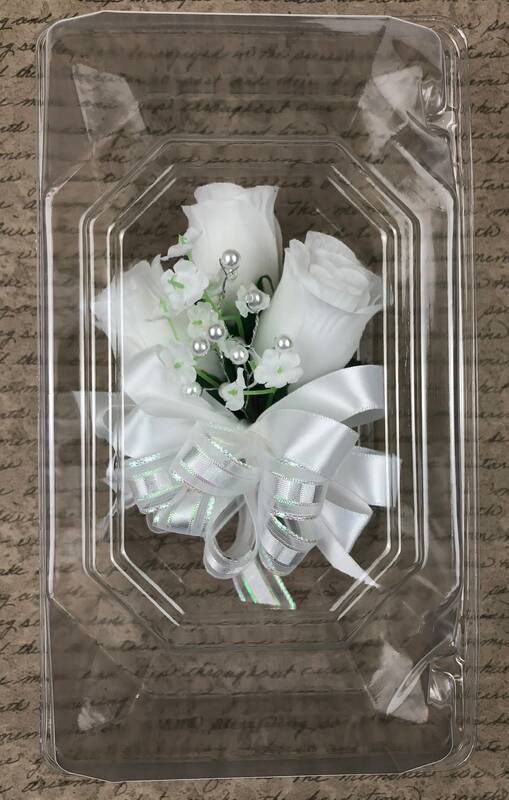 1 White Mother's Pin On Corsage, 6" in length, created with 3 White Silk Rose Buds, White Pearls, White baby's Breath, Rose Leaf & finished White Satin & Sheer Corsage Ribbon, presented in a gift box. 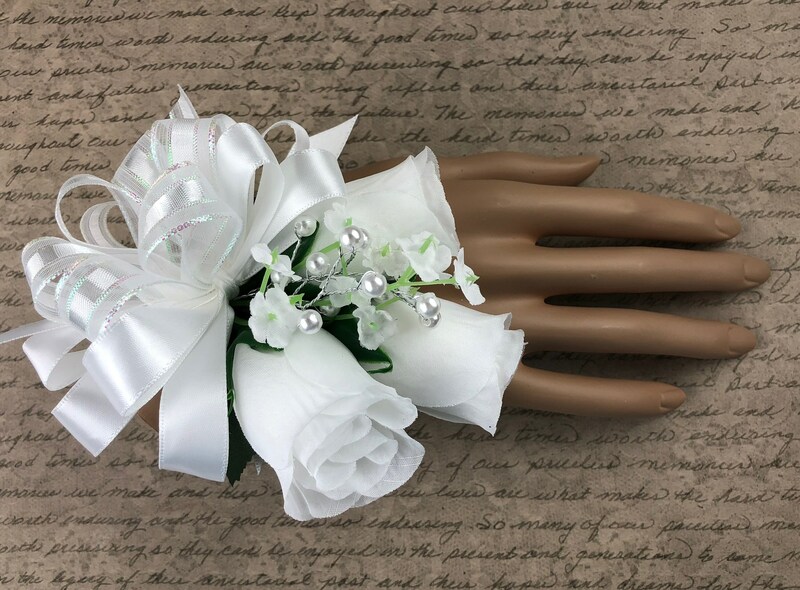 1 White Mother's Wrist Corsage, 6" in length, created with 3 White Silk Rose Buds, White Pearls, White baby's Breath, Rose Leaf & finished with White Satin & Sheer Corsage Ribbon, and fixed to a White pearl wristlet. 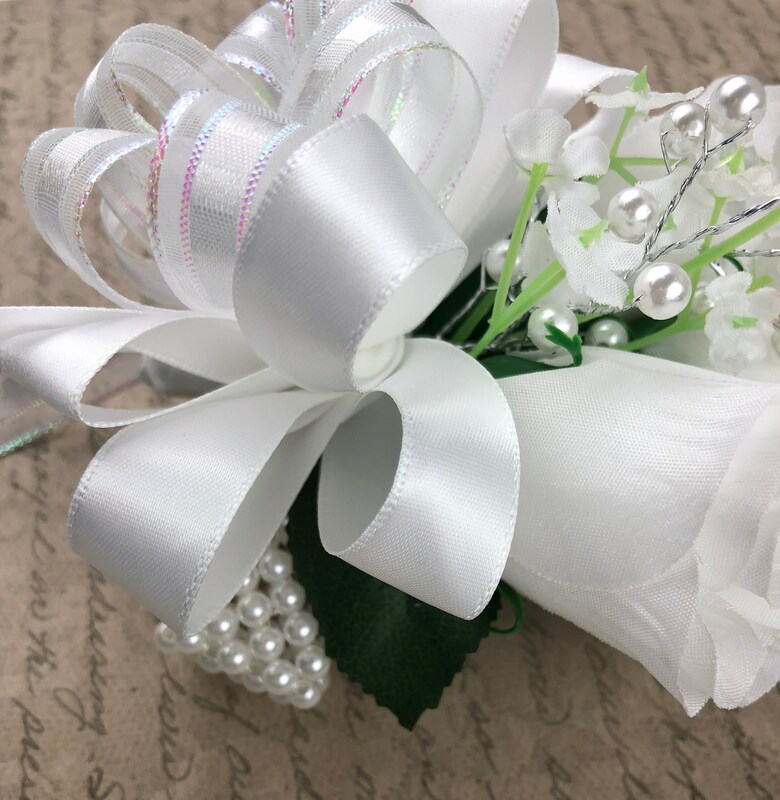 1 White Mother's Wrist Corsage, 6" in length, created with 3 White Silk Rose Buds, White Pearls, White baby's Breath, Rose Leaf & finished with White Satin & Sheer Corsage Ribbon, and fixed to a White pearl wristlet. This corsage will be presented in a gift box. 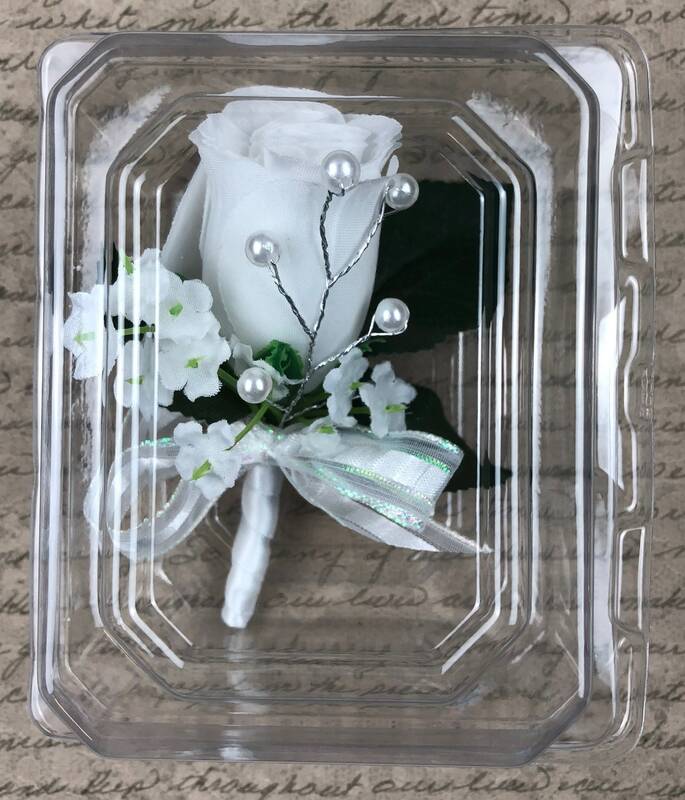 1 White Boutonniere, 4-1/2" in length, created with 1 White Silk Rose Bud, White Pearls, White baby's Breath, Rose Leaf & finished with White Satin & Sheer Corsage Ribbon.